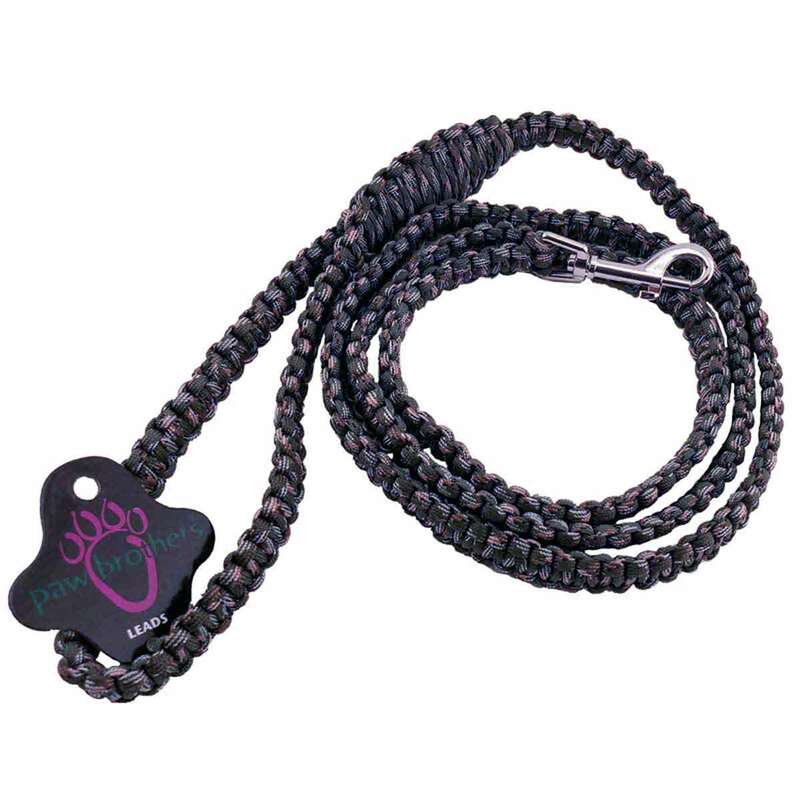 Paw Brothers Tactical Cord Cobra Weave Leads are 6 feet long and are great for dogs of all sizes. 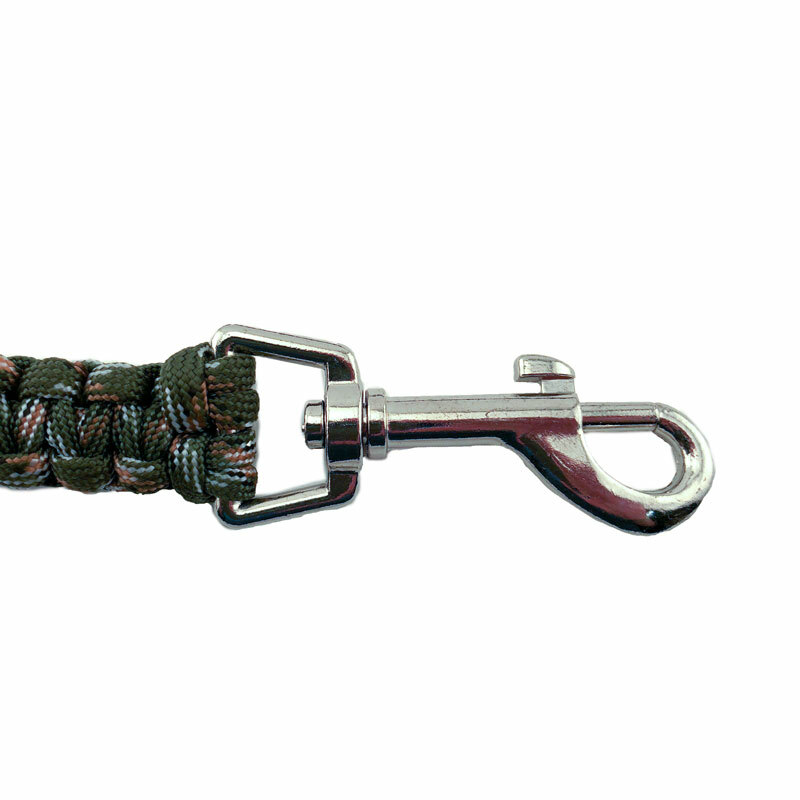 Made with approximately 90 feet of high-strength nylon parachute cord with nickel plated hardware. 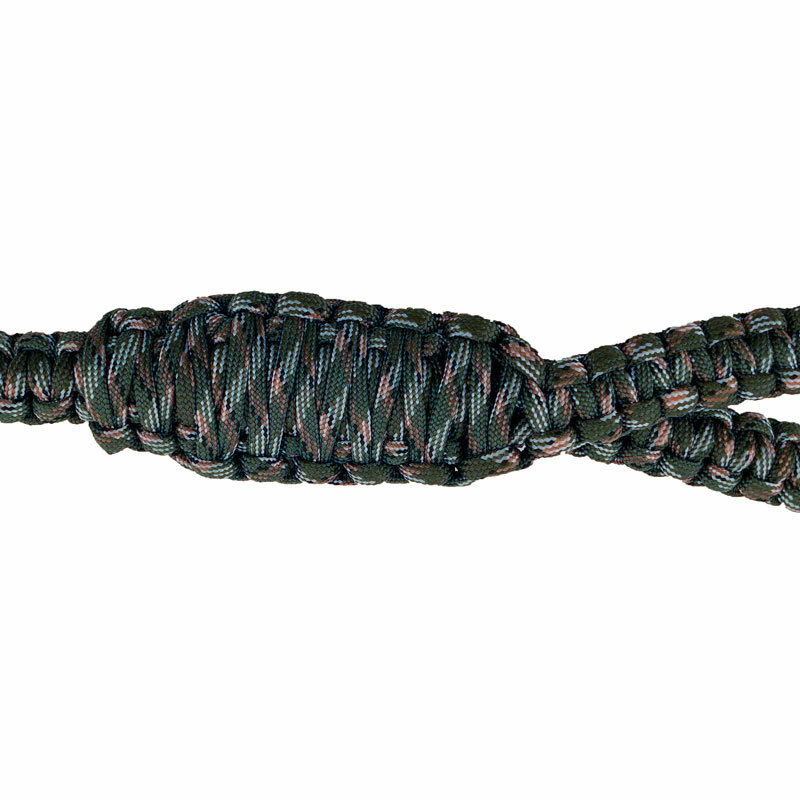 The easy to hold loop handle is reinforced with a King Cobra weave. Leash cording will not rot or mildew. Leash snap hook can withstand 215 lbs. Tactical cord has can withstand 550 lbs.